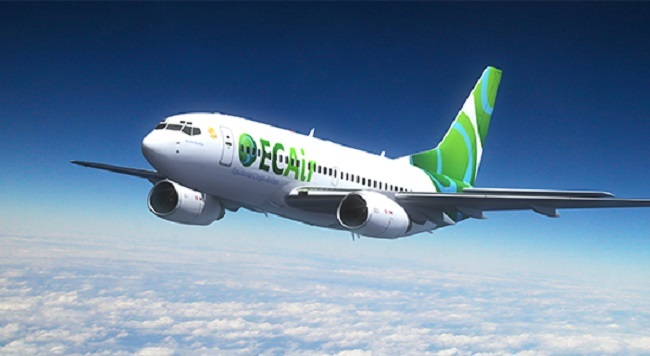 Within the scope of expanding its network, Sunday, 22 March 2015 will see ECAir, Equatorial Congo Airlines (http://www.flyecair.com), the national airline of the Republic of the Congo, inaugurate its new Brazzaville-Dakar via Bamako route. Bamako (Republic of Mali) and Dakar (Republic of Senegal) are two major West African capital cities. This route, which will run three times a week (Tuesday, Thursday and Sunday departing from Brazzaville; Wednesday, Friday and Monday departing from Dakar or Bamako) was established in response to a growing demand among our passengers. This new route represents a crucial and strategic step in our company’s expansion process, and it is hoped it will allow us to strengthen the number of exchanges and level of cooperation between Congo, Mali and Senegal, and with the rest of West Africa in general. Flights to Bamako and Dakar will be operated by Boeing 757-200 and will have a capacity of 148 seats (16 in Business Class and 132 in Economy) until 1 June, then by Boeing 737-700 (12 seats in Business Class and 112 seats in Economy). These two new destinations will round off the service offering of Equatorial Congo Airlines, which already provides services to and from Cotonou (Benin), Douala (Cameroon), Libreville (Gabon) and Kinshasa (DRC) as part of its regional network. “The inauguration of these two new flight routes to Bamako and Dakar, just a few weeks after the inauguration of Libreville as a destination and the establishment of a daily flight between Brazzaville/Paris and Brazzaville/Dubai, will see us strengthen our presence on the continent. This year, within the scope of expanding our network and our fleet, we are aiming to transform Maya-Maya Airport into a real Central African hub by offering our passengers a number of rotations and a first-class service,” declared Fatima Beyina-Moussa, Managing Director of Equatorial Congo Airlines.